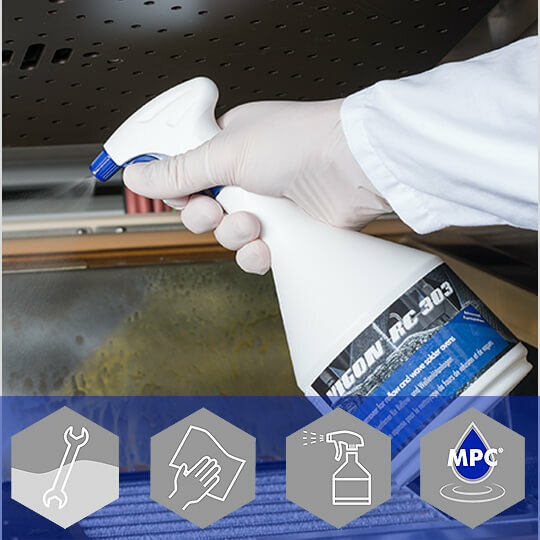 VIGON® RC 303 is a reflow oven cleaner, specifically developed to remove all types of baked-on flux residues from reflow and wave solder equipment. It reliably removes re-condensed fluxes and emissions from assemblies. The medium does not contain any ingredients which could leave residues on the oven surfaces. 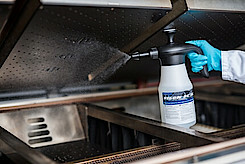 This avoids harmful condensation on the assembly surfaces after restarts. As the successor to VIGON® RC 101, VIGON® RC 303 delivers an improved cleaning performance with the same high level of operator safety.